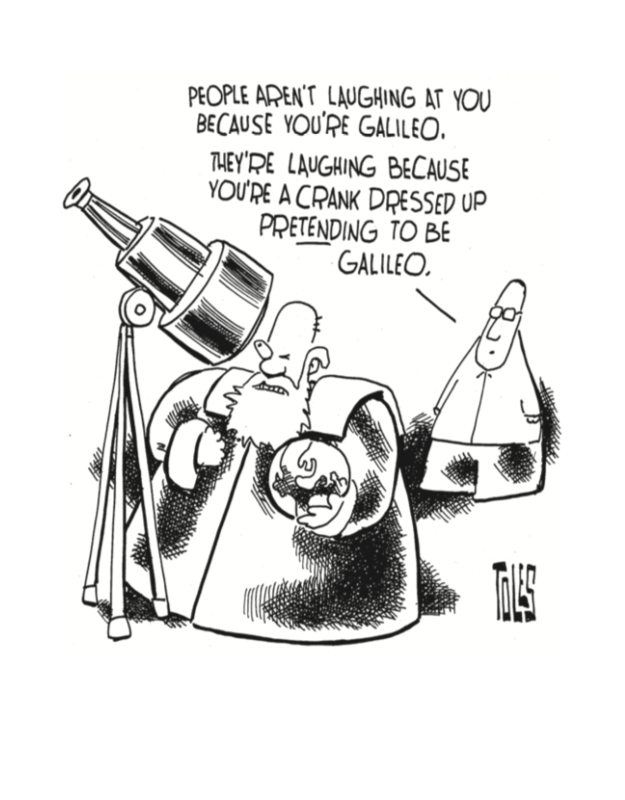 Here’s a novel idea: use cartoons and satire to explain science, specifically climate science, to the public. Award-winning climate scientist Michael E. Mann and Pulitzer Prize-winning Washington Post political cartoonist Tom Toles used this recipe as they embarked on a creative collaboration to publish “The Madhouse Effect: How Climate Change Denial is Threatening Our Planet, Destroying Our Politics, & Driving Us Crazy”. Many praised this book as a counterpunch to climate change denialism in the face of overwhelming scientific consensus. 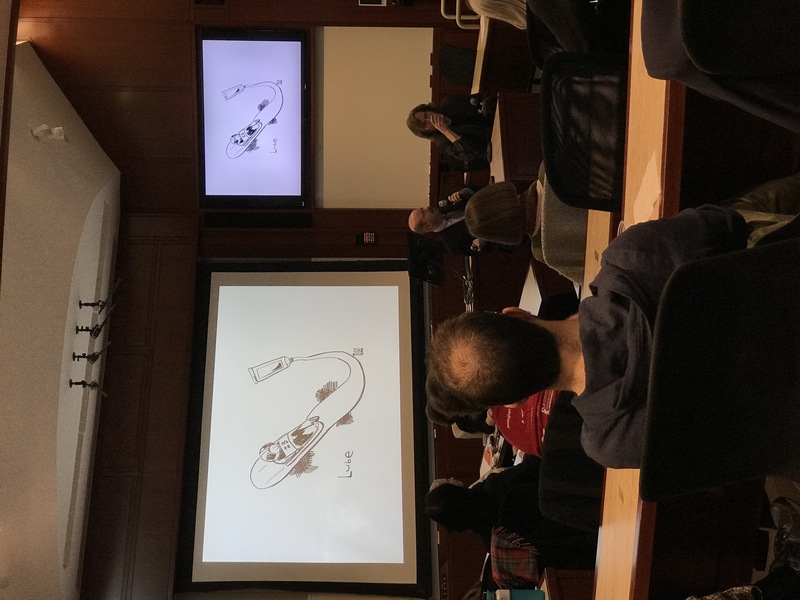 On this Valentine’s Day, HKS hosted a provocative talk with the writers in an event moderated by Cristine Russell and co-sponsored by the Center for Public Leadership and the Sustainability, Energy, and Environment student PIC. 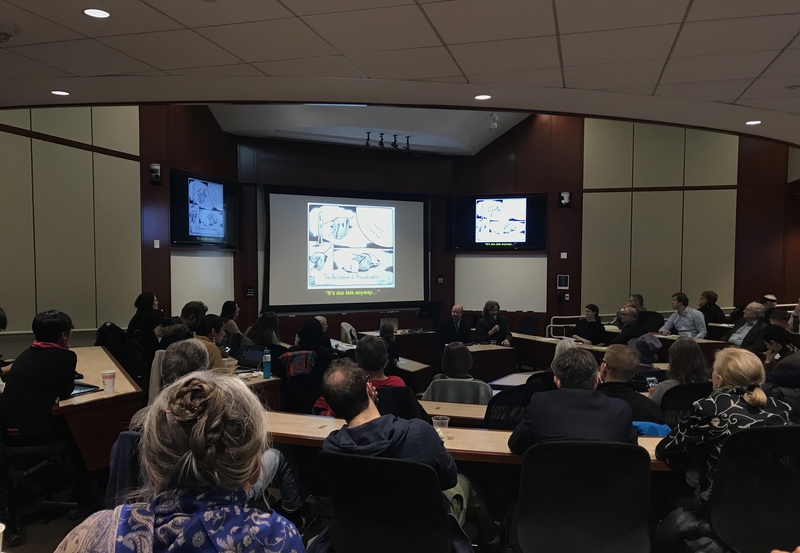 The discussion covered a wide range of issues in the polarizing climate war—from how the Winter Olympics would look like due to global warming, to climate denialism and geoengineering, as well as the path forward given Trump administration’s lack of commitment to addressing in the Paris Agreement. What’s unique is having each discussion kicked off by mind-provoking political cartoons, displayed on the massive screen at Starr auditorium. One of the cartoons, for example, portrays Trump’s administration’s first 100 days as a project to ‘change the Law of Physics’. The one used on the cover for this article, visualizes Trump’s ‘wall’ as one that separates him from the climate reality out there, causing the American people and the world to ‘pay for it’. Michael Mann’s personal favorite, the one below, critiques how climate denialists frame themselves as the ‘Galileo of today’ who have to fight against establishment when—in reality, they are the ones undermining evidence and science. The presentation was followed by a series of Q&As. Vishnu Rajeev, an MPA asked about how to help climate scientists become more effective communicators. To this, Michael Mann commented the challenge rooted in how some of the principles of good communication are the opposite of scientific principles where one should begin by providing uncertainties and nuances. “Good communicators lead with what they know,” said Michael Mann, “…this goes against every instinct of a good scientist.” He then highlights the importance of letting these scientists be, while providing the resources for those among them who already have some inclination toward public engagement. Tom Toles complemented this by stressing the role of media in bridging this communication gap.